What to expect from Hyundai Creta? Hyundai has officially revealed the new name for its upcoming global SUV – Creta. Hyundai Creta is going to take on its SUV segment rivals like Renault Duster, Nissan Terrano, Ford Ecosport and more. Of course the SUV has to be feature packed if it is serious about competing against its SUV rivals. The SUV from Hyundai is known as ix25 in China market. In every other market across globe, other than China, the car would be branded as Hyundai Creta. In India, the new Creta was spotted in Chennai – we were able to get few photos of Hyundai Creta spotted by AnythingOnWheels. Though, Hyundai has revealed Creta as their Global SUV – It is not exactly a full fledged proper SUV – It is a Compact SUV and at the first glance you can say it as a tiny Hyundai Santa Fe. The looks of Santa Fe are above par the Audi Q3. 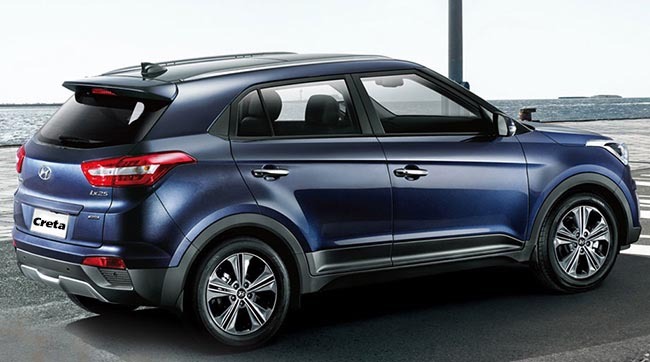 You can group the new Hyundai Creta in Santa Fe category as it follows Hyundai Fluidic Sculpture 2.0 design language. To keep the prices competitive, Hyundai might use the similar strategy used by Verna with multiple engine options. Hyundai’s SUV is expected to borrow engine options from Verna – 1.6 litre and 1.4 litre diesel and also the 1.6-litre naturally aspirated petrol. The 1.6-liter diesel motor would give the upright performance in the class with 120+ bhp and 260 Nm of a max twist. 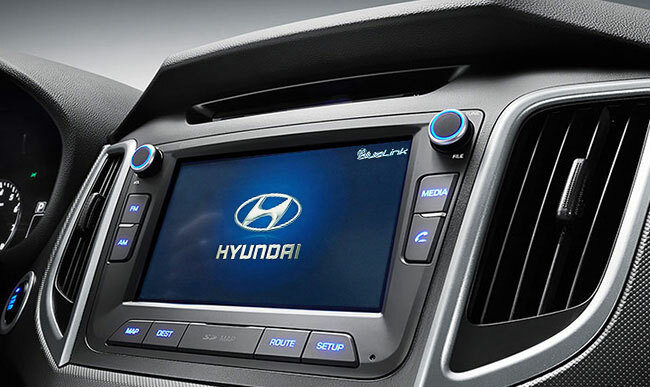 With some spy shots taken in India and Hyundai’s Blue Link Infotainment system in China reveals that the car could feature a large touch screen unit similar to that of Chinese variant. The Blue Link system features touchscreen unit that comes with built-in navigation which comes along with smartphone integration through the mobile application. We have some details about the car, as the Creta is available in China market. The car is offered with a 6-speed manual transmission and the drive train is AWD (All Wheel Drive). Creta could be first launched with manual transmission and then you can expect the automatic transmission. Hyundai Creta is not so small as Ford Ecosport ( which is 4000 mm in length), it measures 270mm more than EcoSport accounting for a length of 4270mm. Creta is marginally shorter than Duster which is 4315mm. The wheelbase of the car is 2590mm, a bit larger than Ford Ecosport’s 2520mm . If we can summarise, this car has sufficient space and can easily with comfort can offer 5 occupants offering a boot space of 400 litres.